(I've been brainwashing uuhhhhh educating her since she was very young, like five; it seems to have worked. I was sitting here listening to Rubber Soul and doing my math homework when all of a sudden I heard She Loves You . I thought that's strange, why would I hear She Loves You when I'm listening to In My Life ? So I took out my earbuds and went into the other room and discovered that my dad and my brother (maybe there's hope for him yet) were watching Eight Days A Week ! (Without me!
) Sadly they turned it off. , one time i was at this car dealership, and I heard a familiar melody in the breeze, and I wandered around until I found She Came in The Bathroom Window coming quietly through a speaker. [To stay on topic] I was paging through my maths lab manual yesterday and I saw a graph titled 'Hey, Bulldog'. Someone at work (I test home theater systems for a living) played the Beatles version of The Sheik of Araby. I was listening to Here Comes The Sun and George sang "It's all right" at the exact moment I read this. How… when… but… okay? How does John’s japanese wife’s sushi relate to me? Ikr. They're so used me being on a first name basis they are, too! I showed my best friend(who knows literally nothing about the Beatles)a photo of the Fab Four and was interested in her opinion. 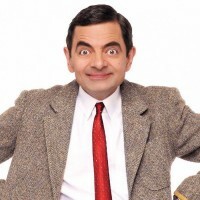 She thought that Paul looked like a thinner Mr. Bean. Why is this a Beatley moment you ask? Because it's the kid named after George! Was in a music store in Glasgow yesterday where they started playing the 'Help !' album (the UK one in case anyone is wondering). It was a small store where it was not possible to hang around until the end so you have to have your way out of the store ready between one song ending and the other starting, these things take planning. I made my exit after 'I Need You '. The issue of Beatles mixes raised its head again as for the majority of the four songs it sounded like there was an issue with the sound system, instruments not being at the correct level. Found out as I was slowly leaving that it was due to the placement of the speakers in the store which created a weird panning effect as you walked across. My best friend has her title for a reason. What is this talk of (possibly) a future member? Whatever’s going on, I’m excited. Ha, okay, I'll talk to her later today and give her the BB talk. She's not that much of a fan, but she might be interested. Yesterday I read a book with the line "The floor needed sweeping." I just had PE and my teacher shattered our ears by playing a cover of Got To Get You Into My Life very, very loudly.